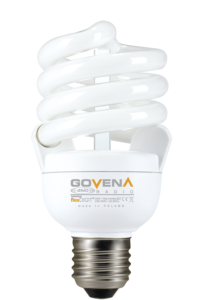 Dimmable – Govena Lighting S.A. Wide range of permissible operating ambient temperature – from –10°C to +40°C at maximum illumination; for remote control of the ASLO system 207 to 253 V.
What do I do with a defective fluorescent lamp? If the fluorescent lamp is broken, carefully collect the broken glass. The broken glass and the other fluorescent lamp elements must not be disposed of together with other waste (e.g. municipal waste) but must be handed over to a Company which collects and recycles waste electrical or electronic equipment. Used or defective lamps should be handed over to a Company which recycles waste electrical or electronic equipment.